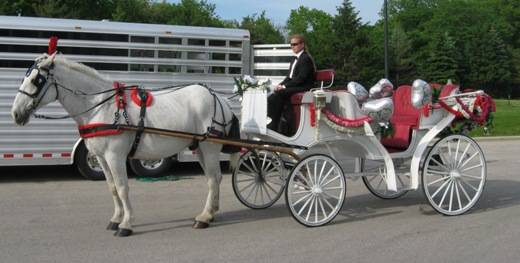 Our elegant horse drawn carriages provide for a private setting for up to 4 adults. Our carriages are built with the finest craftsmanship and provide a comfortable ride. 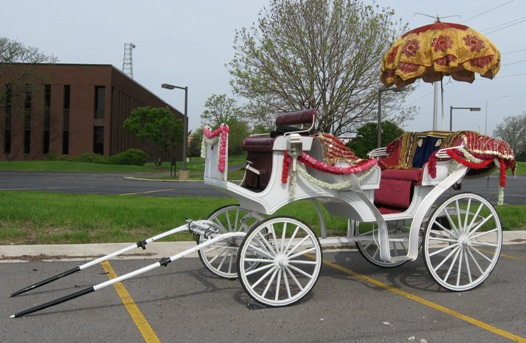 As you can see from the pictures below, the carriage is very popular for weddings, anniversaries and other special occasions. Treat that someone special in your life to an unforgettable experience. Our carriages are powered by one of our beautiful horses all of which make for a great memory. Upon request our drivers can dress in formal attire.